Hi, I can't find my old post so decided to start a new one where people can post the happy meal happy readers codes found on the happy meal boxes which are on the happy meal boxes. People can then get the free books for their kobo apps/ readers. I haven't managed to go yet. Has anyone else got the newest code yet? Despicable Me 3 "Best Boss Ever" code is 965430 for the ebook. Wow thats amazing, thank you, you've even been faster than Kobo themselves as I cant fine the book yet!! Thank you so much for that one! Not showing online for me yet. It says on the box "Transylvania 3" coming soon. So probably the next book. Thank you for keeping this thread going! Choice of 2 Pokemon books. 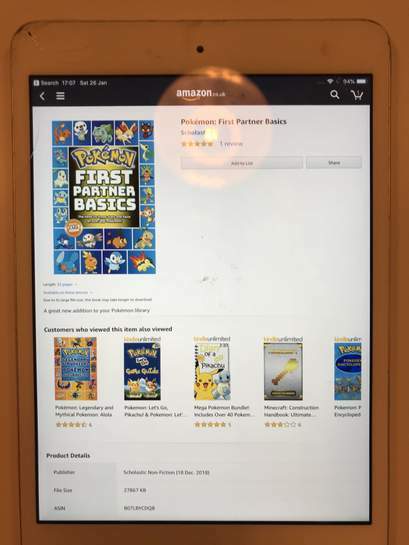 Hi, I’ve been trying for about half an hour to download either of these books via the kindle & amazon apps on phone and iPad - have found both books but can’t see how to download them,there is no orange ‘buy now’ button like the happy meal box says. Please can you tell me how to do it? Is driving me absolutely mad. Thanks! Click on Download and transfer!